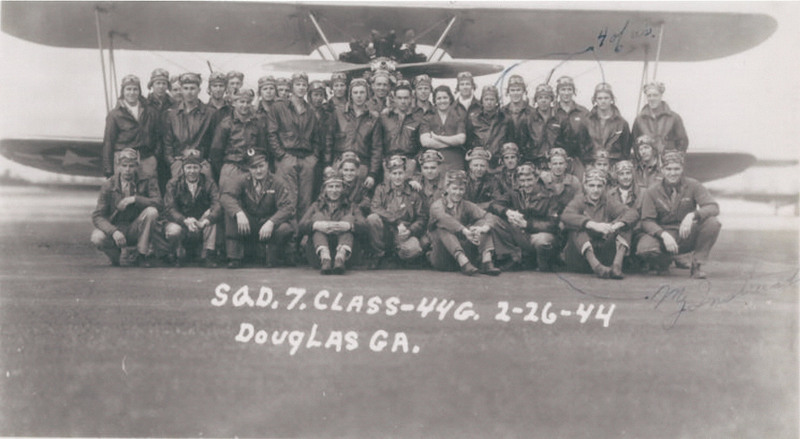 Click to see the Flight Line Personnel during classes 1943-K and 1944-A. Office manager from Oct 1941 to Mar 1945. Dispatcher. In Douglas from Nov. 1941 until July 1942. He left to enlist in the Air Corps. Went to W.T.S. and was almost finished when the program was stopped. Went to radio school in Truax Field, Wisc. Discharged in 1944 but Draft Board sent him back to Keesler Field, Miss. Then to west coast where he was discharged as corporal. Later lived in Charleston W. VA. Flew radio controlled planes as a hobby. Wife: Aletha Bailey. Later did crop dusting in Georgia and surrounding states. A mechanic. He was in Douglas prior to and after Oct. 1944. He was assigned to the hurricane evacuation flight to Tuskegee. Dispatcher. She was in Douglas from June 1942 to Sept 1944. 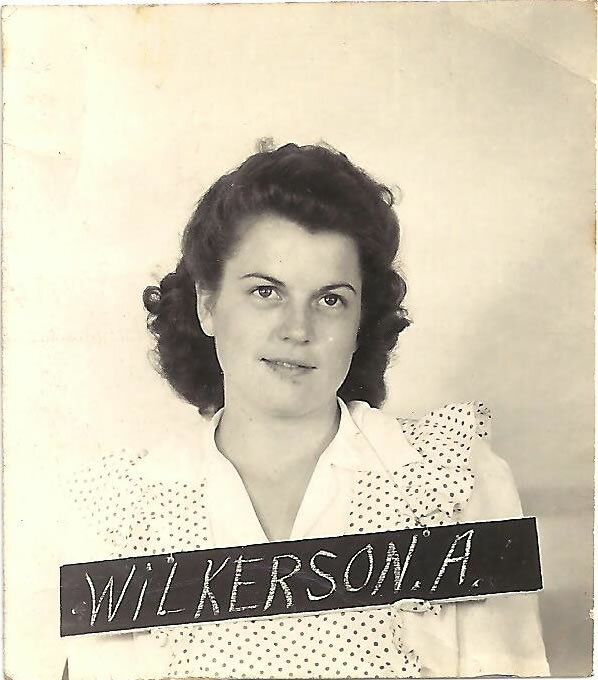 Worked for the State Welfare Dept in Atlanta 1949-1957. Later lived in Augusta, GA.
A mechanic. He was in Douglas from Jan. 1942 as a Line Chief Mechanic until Dec. 1944. He left to tqake a similar job with Bell Aircraft at Marietta, GA. Returned to Broxton, GA where he farmed and became Chief of Police of Broxton and then of Hazelhurst. Purchasing Agent. Husband of dispatcher Lurlyne Bradley Clark. Owned the Ducoff Hotel, Douglas. Died in an auto accident in Dec. 1963. Dispatcher starting in 1942 and leaving in Jan. 1945. Took over the Ducoff Hotel in Douglas, GA, but it burned in 1954. Moved to Dalton, GA.
Dispatcher. He left Douglas to go to the Navy, was Lt. Jr. Grade and received his Navy Wings. Mechanic. Worked at Douglas during 1943 and 1944. Worked on the Georgia and Florida Railroad in Douglas. Owned the Peach State Motel in Macon. John Raper was in Korea. Mechanic. He was in Douglas prior to and after Oct. 1944. He was assigned to the hurricane evacuation flight to Tuskegee. Worked at Sears Roebuck & Co. after the War. Dispatcher. Worked at the school from Feb 1942 to Feb 1944. Wife of H. P. “Perry” Fitzgerald, a line foreman at the base. After the War worked for the Welfare Dept for 2 years and then taught school in Douglas. Line Foreman. Worked at the school from Feb 1942 to Feb 1944. Opened a Standard Oil Service station on South Peterson St. in Douglas. Dispatcher from June 1943 to Dec. 1944. From Daytona Beach FL. Died about 1957. Mechanic and Crew Chief in Douglas from Nov. 1941 to Dec 1944. He cared for 23 planes with 12 helpers. He left to go to Bell Aircraft at Marietta GA until V.J. Day. Returned home to Broxton, GA after the War Married Ruth Willenday of Douglas. Mechanic in Douglas prior to and after Oct. 1944. He was assigned to the hurricane flight to Tuskegee. He entered military service in May 1945. Killed in an auto accident in Summer of 1967. Dispatcher in Douglas from Jan 1942 to Jan 1943 and learned to fly in a J-3 Cub while there. Later he was manager of the Topeka (KS) Airport for 8 years. Worked in the front office of the flight school at Douglas. Mechanic at Douglas in Dec 1941 and was hangar chief whe he left in Sept 1944. He joined T.W.A. in Washington, DC. In Feb 1946 he joined the 11th Airborne Div. in Japan and made 15 jumps. He was discharged in May 1947. He returned to T.W.A. after his service and other airlines where he was a mechanic / flight engineer. Dispatcher. After Douglas she worked at Moody Field, Valdosta, GA until it was closed in 1947. Born November 23, 1916, died May 20, 2012. Line Supervisor. Began in Oct 1942 as a Line Mechanic and was later promoted. He stayed at Douglas until Dec. 1944. By Mar. 1945 he was in the army being processed at Keesler Field, Miss. May 1945 saw him at Chanute Field, Ill. taking advanced technical training. Then to Kearns, Utah and Foster Field, TX. Here during gunnery advanced gunnery training he was hurt in a low level flying accident. He was then discharged in Sept. 1945. Dispatcher. Started in Douglas Feb 1943 and stopped in Jan 1944. Director of Maintenance. He was in Douglas prior to and after Oct. 1942. Dispatcher and Ground School Instructor – Engines. Was at Douglas prior to and after Oct 1943. Secretary to Purchasing Agent Clark. Wife of John R. Siegman, flight instructor. Husband Clyde was in the C.B.I. Theater with Army Engineers. Moved to Starke, FL. May have married in Douglas. Instructor Arthur S. Cunningham recalls that Simpson was kind enough to teach him how to pack parachutes and lent Cunningham his personal chutes to make a demo jump for the class. Floyd was a very popular individual because each Monday he received 2 cartons of camel cigarettes for advertisement work he did for the company. Later Secretary to Coffee County Commissioners office. Parachute and Photo Dept. At Douglas during summer 1941, then from June 1943 to Oct 1944. He left to join the Navy at Lakehurst, NJ. He was then transfered to the U.S.S. Rizzi De 537 for the duration of the War. Discharged in 1946. Returned to South Georgia College at Douglas. After graduation worked for John Deere dealier in Douglas and then the Federal Land Bank Assoc in Douglas. Of Smyrna Beach, FL. Suicide 1959. Post engineer. He came to Douglas in 1943. Stayed as manager of the field for 1-1/2 years after the school was closed in Dec. 1944. Then returned to SC Highway Dept as Resident Engineer. Tower Dispatcher prior to and after Oct 1943. Dispatcher. Husband Sam was ground school instructor. In Douglas from about Fall 1942 to Dec 1944. 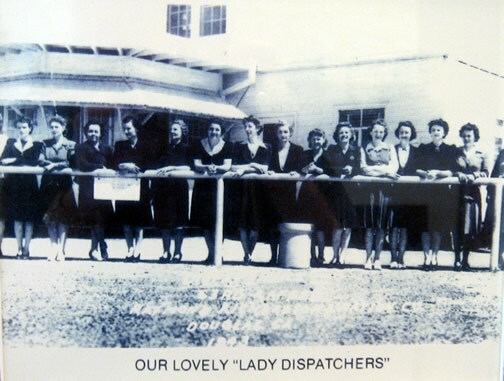 Dispatcher prior to and after 1943. 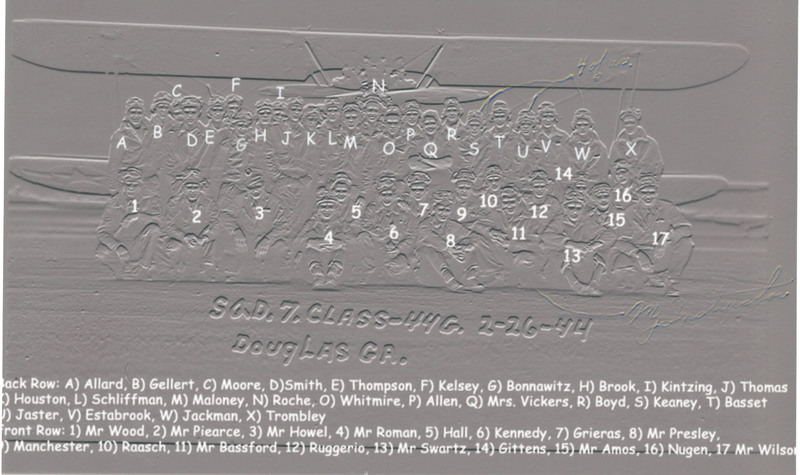 She is also pictured in the Class 1944-G Squadron 7 picture. Click here for the squadron 7 picture. Line foreman. He left Douglas to go to the Navy and was stationed at Floyd Bennett Field, NY until 1947. Was Asst Mgr of Westchester County Airport (NY) and then moved to Miami and died there probably of a heart attack. Worked at the canteen. In Nov 1945, she married former Douglas cadet Silas Cloud. *”Women Mechanics Amaze Visitors But Old Stuff Now to 63rd FTD.” Coffee County Progress (Douglas, GA), Special Anniversary Issue, Oct. 7, 1943, n.p.